There is a lot of responsibilities that come with adopting a dog. But, there is also a great deal of pleasure in having a dog as part of the family. This site is dedicated to all those who want to make having a dog a most pleasant experience. Having a dog means there is a lot to learn about this new responsibility. But, it doesn’t have to be complicated. This site is dedicated to one of the important components that comes with having a dog. 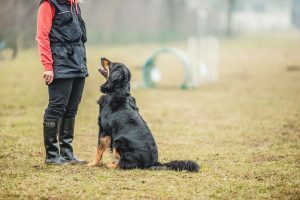 A dog that is properly trained means both the dog, the guardian and all those who come in contact with them are going to be happy. Here you are going to find some important topics that will help you to quickly train your dog in a variety of ways. We have started with some great information on how to care for and train a puppy. The two most important lessons that the puppy must learn is how to go outside to relieve themselves. Also, how to adjust to their new environment. Dog guardians soon discover just how intelligent their new canine friend is. This opens the door for all types of training opportunities. But, it must begin with basic training. This is the type of training that is going to help to keep the dog safe and teach them the proper social skills. The post we have here will explain this and its importance. One of the responsibilities that comes with having a dog is keeping them healthy. Here we have provided some great tips for having a healthy dog. Also, some insight into some of the common health problems that dogs can incur. Every dog has its own unique characteristics. Many of these are cute but some of them can promote unwanted behavior. The post we have provided here will touch on some of the common behavior problems. By identifying what might be caused the unwanted behavior it will often help to find a suitable solution. This post is going to expand upon the information found in the basic training post. It is worth taking a closer look at this as the commands are so important. They will help to keep the dog safe. The commands show the dog who is in control. They also help to make adopting a dog a much more pleasant experience. Copyright © 2019 hdlrc.com. All Rights Reserved.